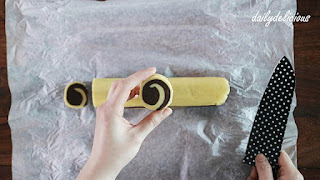 My sister asked me to make snack for my niece, because she has some snacks at school everyday and my sister think that it will be better to eat a homemade one ^^. 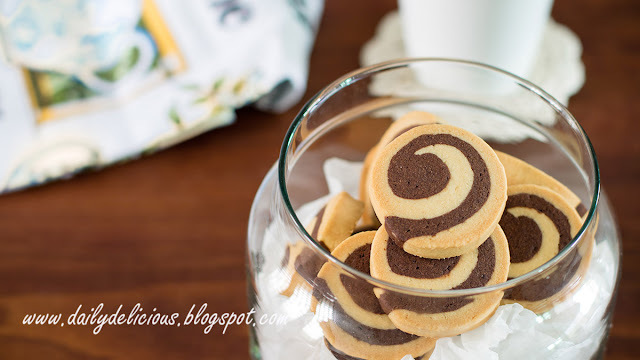 So, I have to make something that she can take it to school easily and the first thing that comes to my mind is a cookie. Actually I love to eat soft cookie (and most of my cookie recipes are soft) but I don't think it will hold it shape when my niece take it to school. This cookie is the one that I choose, hard cookie that's crunchy and delicious. 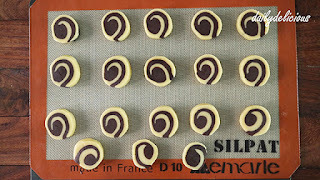 I use only 30g of icing sugar for each dough of the cookies, but if you want it to be sweeter you can use 35g because my tasters divide into 2 groups, one said that it's not sweet enough and the other said it's just right so I give you a choice instead, haha. As this cookie is an icebox cookie (means it has been freeze then cut before baking), you can keep it longer in the freezer if you want. 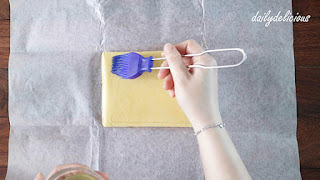 But because to cover it tightly with aluminium foil and plastic wrap, to prevent it from dryness. 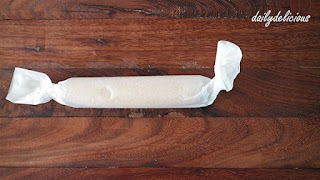 You can keep it for 1 month. 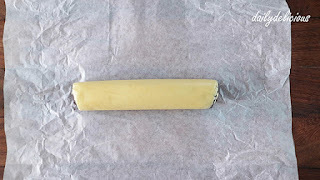 Freeze it at least 2 hours will help holding it shape better, and you will be able to cut it into a beautiful piece. 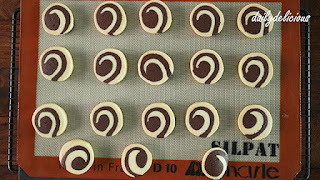 30g .......................... 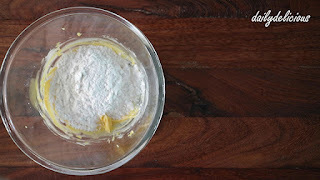 Icing sugar (use 35g if you've a sweet tooth ^^). 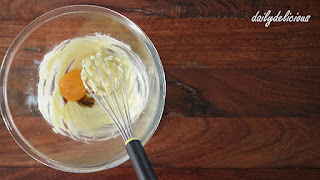 Beat the butter until smooth, add the icing sugar and beat until combine. 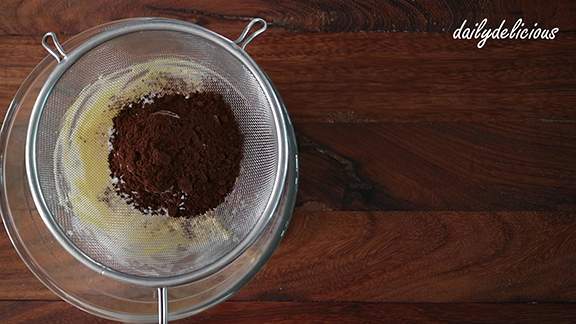 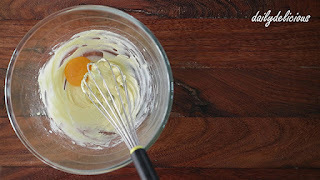 Add the egg yolk, and vanilla extract and beat until combine. 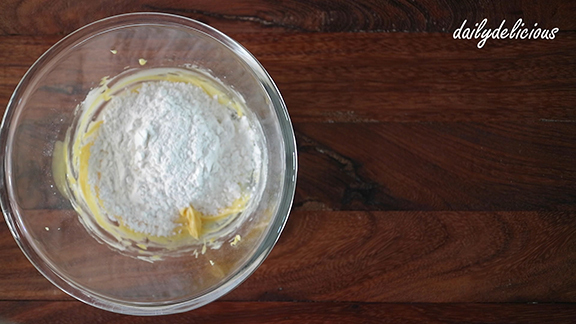 Put the flour into the bowl. 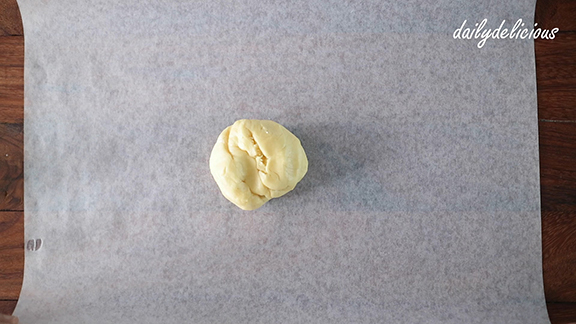 Place the dough over a sheet of baking paper. 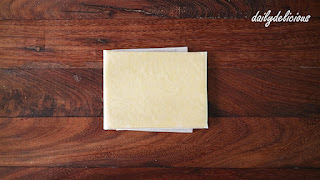 Roll into 17x13 cm and cover with paper and refrigerate at least 30 minutes. Add the egg yolk, and beat until combine. Mix lightly, then add the milk. 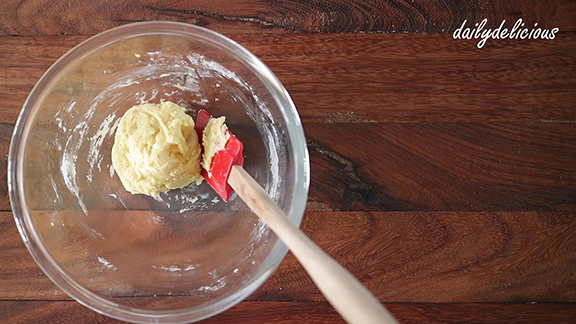 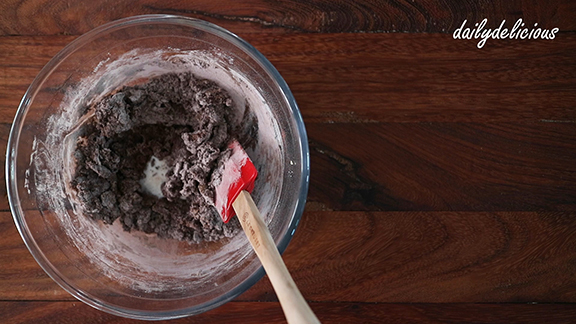 Brush the vanilla dough with egg whites. 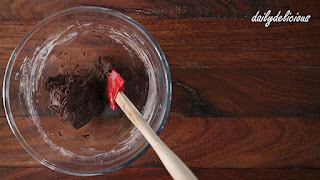 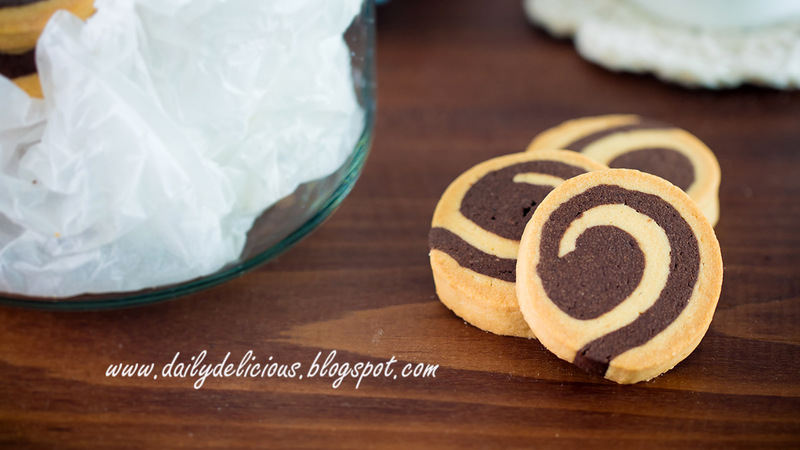 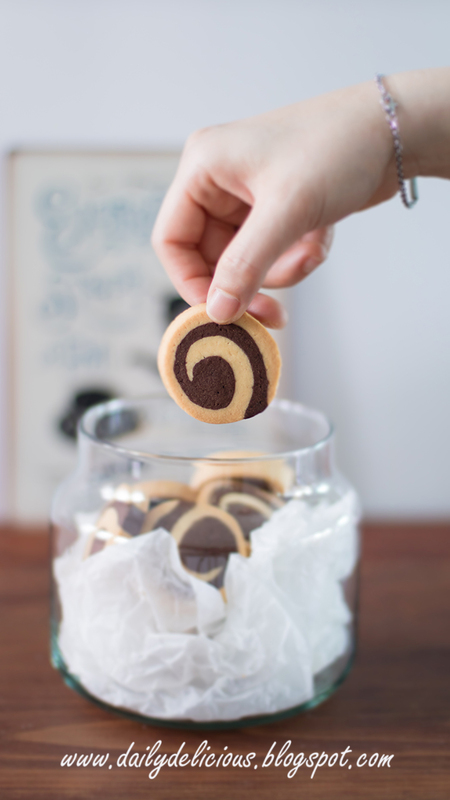 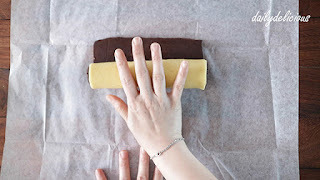 Place the chocolate dough over the vanilla dough and roll into a log. 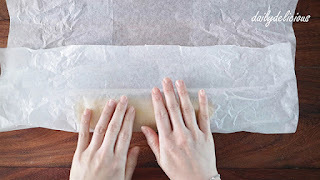 Cover with baking paper (it will make the dough smooth). Until you get 21 cm long log. 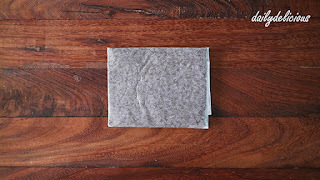 Cover and freeze for at least 2 hours (or cover it tightly and keep it for a month if you want ^^). 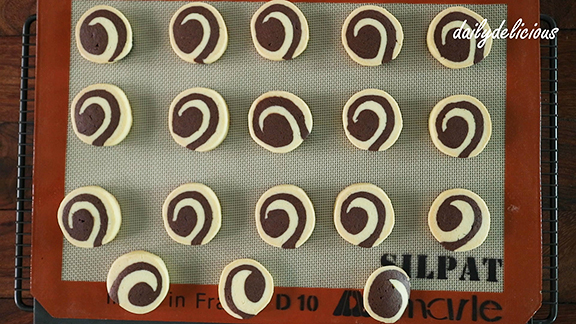 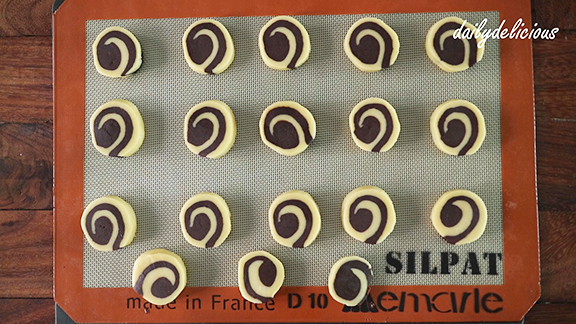 Before baking, have ready a baking sheet. 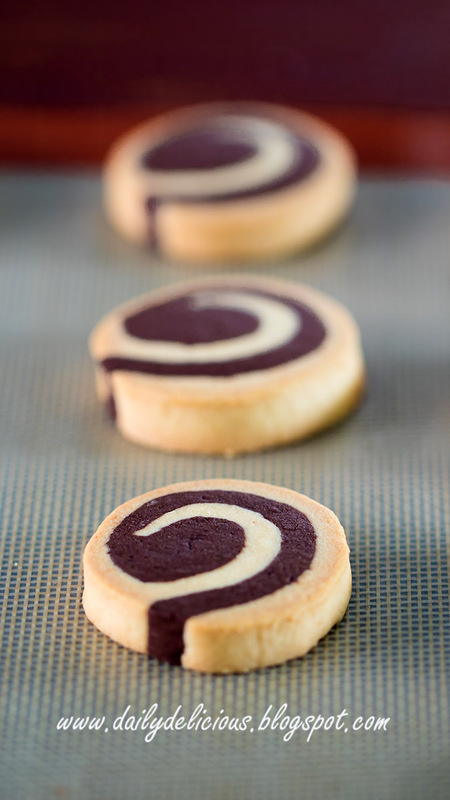 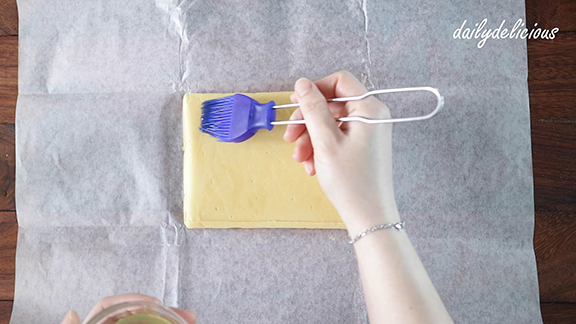 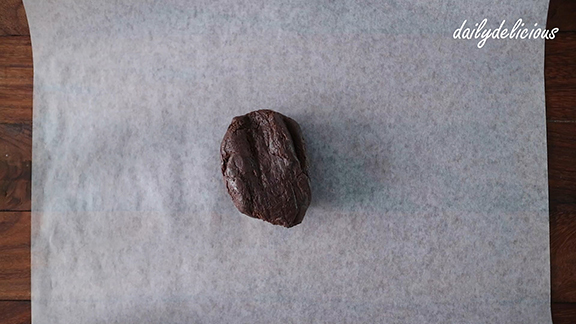 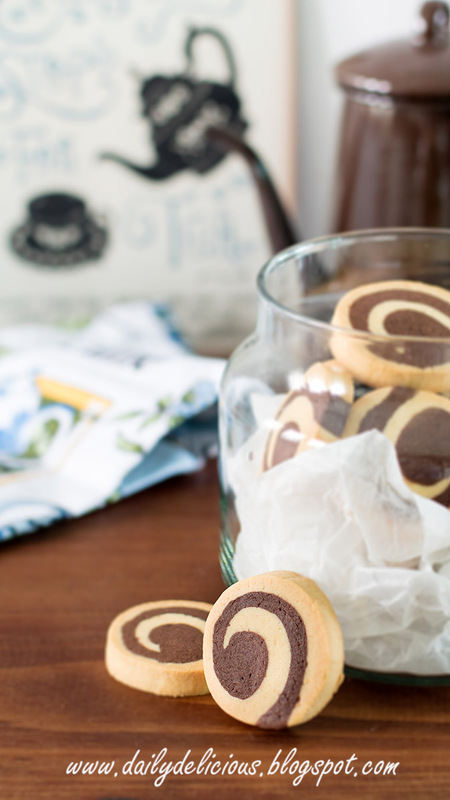 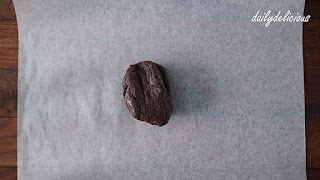 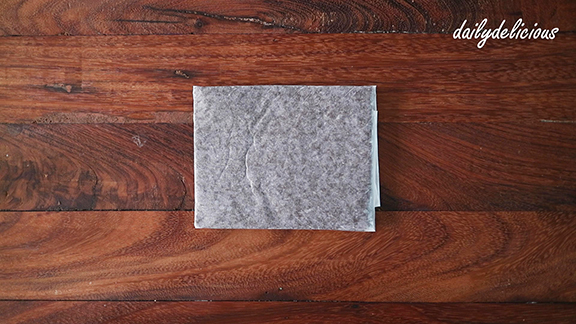 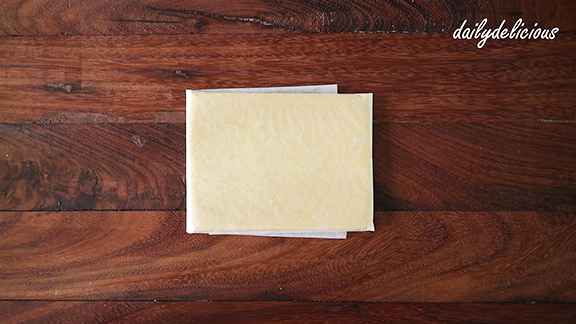 Line the baking sheet with baking paper or Silpat. Cut the cookie dough into 1cm piece.